The Galaxy Tab Pro 12.2 is a little bit better than Galaxy Tab Pro 8.4, with a score of 7.93 against 7.84. These tablets work with Android OS, but Galaxy Tab Pro 12.2 has older 4.4 version and Galaxy Tab Pro 8.4 has Android 4.4.2 version. The Galaxy Tab Pro 12.2 design is just a little bit thicker and heavier than the Galaxy Tab Pro 8.4. The Samsung Galaxy Tab Pro 8.4 features a bit better display than Samsung Galaxy Tab Pro 12.2, because although it has a lot smaller screen, and they both have exactly the same resolution of 2560 x 1600, the Samsung Galaxy Tab Pro 8.4 also counts with a better quantity of pixels per inch in the screen. The Galaxy Tab Pro 12.2 features a processor that's just as good as the processing unit in Galaxy Tab Pro 8.4, and although the Galaxy Tab Pro 12.2 has a higher amount of RAM, they both have a Quad-Core processing unit and a 450 megahertz graphics processor. The Galaxy Tab Pro 8.4 shoots clearer videos and photos than Galaxy Tab Pro 12.2. Both of them have the same 60 frames per second video frame rates, the same resolution back camera and the same video resolution. 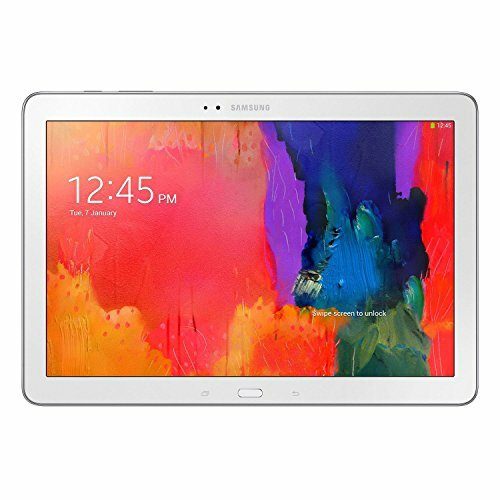 Galaxy Tab Pro 12.2 has a superior memory for apps and games than Samsung Galaxy Tab Pro 8.4, and although they both have a SD extension slot that allows up to 64 GB, the Galaxy Tab Pro 12.2 also has 32 GB internal storage. Samsung Galaxy Tab Pro 12.2 counts with a much better battery performance than Galaxy Tab Pro 8.4, because it has a 9500mAh battery size instead of 4800mAh. 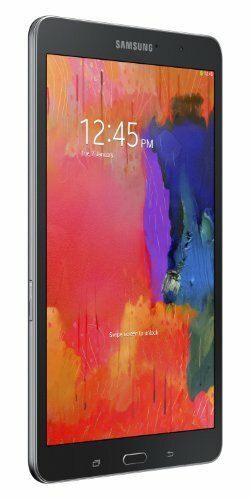 Despite of being the best tablet between the ones we are comparing here, the Galaxy Tab Pro 12.2 is also a lot cheaper, making it an obvious call.